Made with Feetures exclusive iWick Polyester that combines a super soft hand with up to 4X faster moisture wicking ability than other socks. The "perfect Toe" is Feetures seam-free toe closure. A unique construction that creates a completely smooth seam at the toe, both inside and out. This eliminates the irritation and discomfort caused by traditional toe seams. 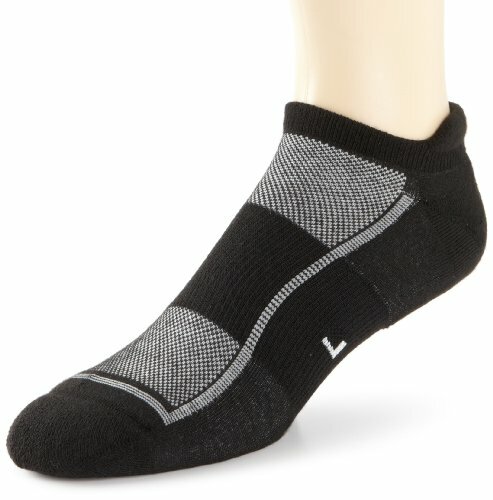 Feetures produces all of it's socks with a higher thread count than most socks. This results in a softer and stronger sock.